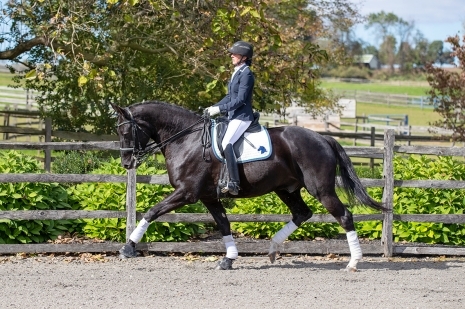 The unique method that Woodlands Equestrian Club utilizes to train horses and riders in Dressage has been developed through the expertise and natural horsemanship skills of our General Manager and Dressage Director, MARTA RENILLA, International Grand Prix Competitor and United Stated Dressage Federation Gold Medalist. In 2011, Marta was RANKED 3RD in the Nation for her Grand Prix Freestyle results and she holds the GRAND PRIX champion title of the US Region 9 in 2011, 2012 & 2015. She has competed in multiple Grand Prix in CDI 3* in Lexington and Wellington shows and has competed at the 2014 and 2017 Wellington Nations Cup obtaining the Silver medal with her team. SERVICES: Ms. Renilla offers a wide range of Dressage training programs tailored to the needs of each horse and rider, from basic-training to upper levels. Students are encouraged to develop a good seat and position and to increase their knowledge of horse training skills, allowing them to optimize their ability to ride effectively and advance through the levels. At WEC we aim to make each horse happy in his work by taking the time to understand him. We help riders achieve their dreams whether or nor this includes competition.